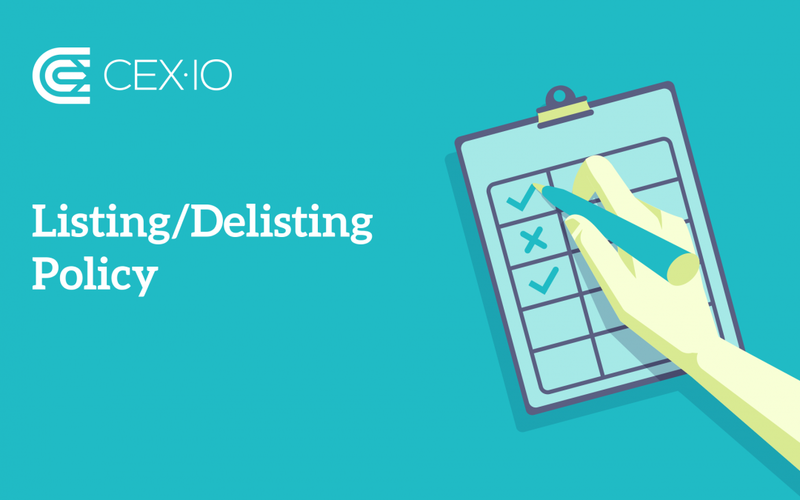 To ensure complete transparency as to how we choose coins and tokens to be added to the CEX.IO platform, we have designed a Listing/Delisting Policy. It identifies the main principles and procedures of due diligence that we follow in selecting coins and tokens for listing. This policy will help us to evaluate coins and tokens that can potentially be added to our platform and ensure that all trading options available to our users meet the highest standards. Either we or a coin issuer can start the listing process. If a coin/token issuer wants its asset to be traded on our platform, they may apply for listing through this form. To stay transparent, we will inform our users once we start considering a new coin/token for listing. Additionally, if we decide to list a specific coin/token, we will update our users and provide details. While making a decision, we will pay attention to general information about the coin/token, the team behind the project, technical aspects, legal and compliance peculiarities, global availability, marketing activities, and the project community. As for delisting, the policy specifies under which conditions a particular coin or token can be removed from the platform. At the same time, it states that we can delist any coin or token after notifying the coin issuer and our users having the mentioned coin or token on their CEX.IO balance about our decision. This policy is vital to our users and partners as far as it explains the main criteria for choosing coins and tokens to be listed. It also provides details of the delisting procedure and specifies how and when we will notify users about coin/token delisting. Your continued use of the CEX.IO platform after this notice about the new Listing/Delisting Policy has been published will be considered indicative of your acceptance of this policy. We believe this new policy will ensure a higher level of transparency in our listing and delisting processes.